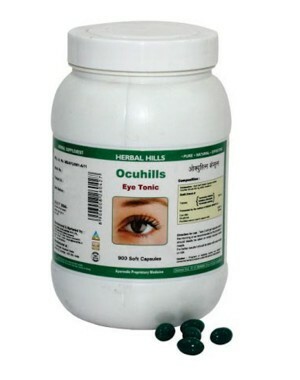 Ocuhills is a classical ayurvedic preparation of Triphala Ghruta. It contains Triphala as its main ingredient processed with ghee. Triphala besides detoxifying digestive tract, improves metabolism. Triphala nourishes the nerves rejuvenative & detoxifier. Cow ghee helps to balance vitiated doshas, reduces risk of damage by free radicals to the eyes provides protection to the eyes. This product is not intended to diagnose, treat, cure or prevent any disease.